Quraishi is former Chief Election Commissioner. Every political party has raised doubts about these machines at some time or the other and demanded a return to the ballot paper. But they have also won elections with the same machines. The EVM debate is back — yet again! This is one controversy that refuses to die down, raising its head every few months. This time around, its epicentre was London. What was promised as a sensational demonstration of hacking by “cyber experts” from the US that would cause an earthquake ended as poor melodrama with an anti-climax. The “cyber expert” was one Syed Shuja, who claimed that he had taken asylum in US after he and his colleagues were fatally attacked since they knew too much about the “hacking” of the 2014 General Election and were countering it. Several persons, including his teammates, were murdered, he alleged, for the same reason. The “facts” mentioned by Shuja can be independently corroborated and I am sure concerned agencies would be doing their homework, as they must. I will stay with the debate about the hackability of EVMs. There is a well documented history of such claims. Besides individuals, every political party has raised doubts about these machines at some time or the other and demanded a return to the ballot paper. But they have also won elections with the same machines. Can ballot papers really change the picture? In July 2010, when the Telangana agitation was at its peak and 12 MLAs of the Andhra Pradesh Assembly resigned and recontested the by-elections on the issue, that was the time when the agitation against the EVMs was at its peak, thanks to the BJP’s campaign against EVMs. As the EC had turned down the request of political parties led by the tech-savvy Chandrababu Naidu to revert to ballot papers, the parties resorted to a smart ploy. Since EVMs are configured to take only 64 candidates, the TRS decided to field more than 64 candidates in each constituency. While Yellareddy in Nizamabad district recorded the maximum of 114 nominations, Sircilla stood second with 107. Even after the large-scale rejection of nominations, the number of candidates left in the fray in six constituencies exceeded 64. This forced the EC to conduct elections in those constituencies by ballot paper, while the remaining six were conducted with EVMs. As CEC back then, I took it as an opportunity to test and demonstrate the relative strengths of the two systems. While the results from the EVMs came out in four hours, those with ballot papers took 40 hours. On top of that, thousands of invalid votes inevitably happened with ballot papers. In addition, the cost of paper ballots and the prolonged drudgery of the polling staff was an additional burden. What’s more, the results from both systems were exactly the same. So what did they achieve with all the fuss? Zero! Where did different political parties stand then? “The party (TRS) is opposing the usage of EVMs because it has reliable information that the Congress will try to manipulate the machines to win the polls,” said a newsmagazine report. TDP president N Chandrababu Naidu demanded that ballot papers be used in all 12 constituencies. “We have brought to the notice of the EC several times in the past that the EVMs were not tamper proof”, he said. Bandaru Dattatreya, president of the BJP in united Andhra Pradesh, said “We have been demanding that there should be a nationwide debate on EVMs. The TRS has used the right strategy”. Congress spokesman Kamalakar Rao said it was unfortunate the parties were doubting the EC’s integrity, forcing it to incur additional expenses to print ballot papers. Post 2014, the BJP has been repeatedly accused of misusing EVMs, though nothing has ever been proved. One prominent leader even claimed the EVMs could be hacked in just 90 seconds! On the other hand, the EC has repeatedly challenged the conspiracy theorists to try their hand on the EVM. No party has accepted the hackathon challenges. It is important to remember that the decision to adopt the Voter Verifiable Paper Audit Trail (VVPAT) was taken in 2010, when, in the wake of the BJP’s campaign against EVMs, an all-party meeting made this demand, which the commission immediately accepted. The two factories which manufacture the EVMs were asked to develop VVPAT machines. The committee of independent experts was requested to monitor the process. After a series of trials culminating in two full-day election simulations in five cities in extreme climatic zones in 2011 and 2012 (Thiruvananthapuram, Jaisalmer, Leh, Delhi and Cherrapunji), the VVPAT was introduced, initially in 20,000 polling booths, where the first batch of the machines was used successfully. As the manufacturing progressed, all the booths in all constituencies started using these printer-based machines. The Supreme Court in 2013 lauded the EC’s decision to bring in the VVPAT for removing all doubts from the minds of the voters and directed the Government of India to ensure adequate funds so that the general election 2019 could be held entirely with these devices. Since 2015, all state assembly elections have been held using VVPAT machines. 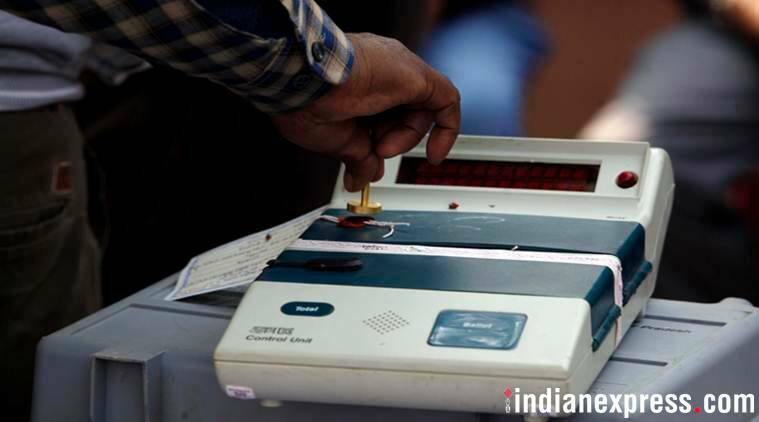 In these elections, slips generated by nearly 1,500 VVPAT machines were counted and tallied with the votes in the EVMs. They all tallied. Not one mismatch. This shows the VVPAT is the final solution. A performance review undertaken by the EC in mid 2018 showed an aggregate VVPAT malfunction rate of 11 per cent. This is higher than the rate for EVMs which is around 5 per cent. There is an easy technical explanation for this — EVMs are solid state machines while VVPATs are electro mechanical devices with moving parts. The analogy that can be used is that of a calculator (solid state, trouble-free for years) and that of a computer printer (prone to jamming, drying up of toner etc). The solution lies in keeping more machines as reserves for quick replacement so that voting can resume and there is no disturbance at the polling booths. In the last few days, some Congress leaders have been heard demanding that all EVMs must be linked to VVPAT and 50 per cent of VVPATs be counted. While the first is already being done, the second suggestion can be discussed. The current practice of counting just one machine per constituency in my view needs to be reconsidered. I was told by the then CEC O P Rawat that the EC had asked the Indian Statistical Institute, Kolkata, to suggest what would be the most scientific sample size that will lead to 99.99 per cent public satisfaction. What can be more reasonable than this? Let that be the clincher in the debate.